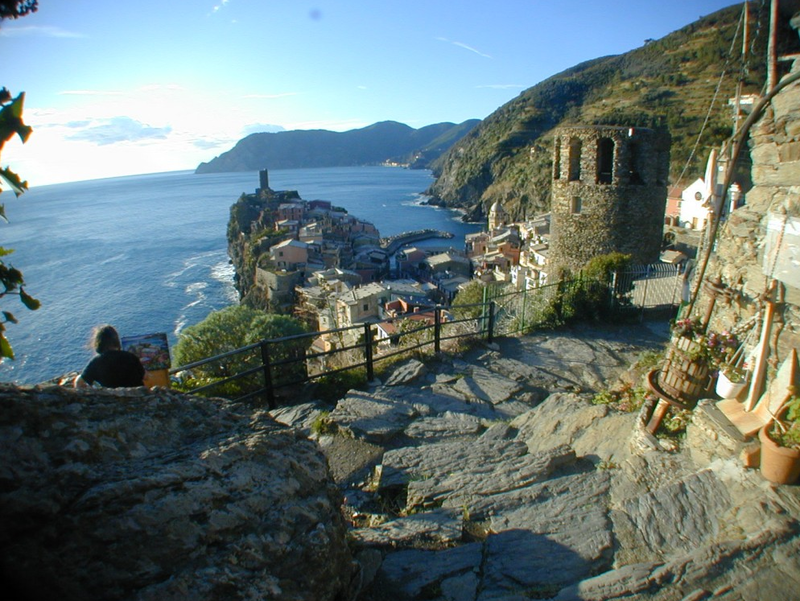 On the day of 25th October 2011, Vernazza was hit by the most tragic event in its history : an abnormous perturbation that came from southeastern Europe stopped his path just over Vernazza, Monterosso and the inland. 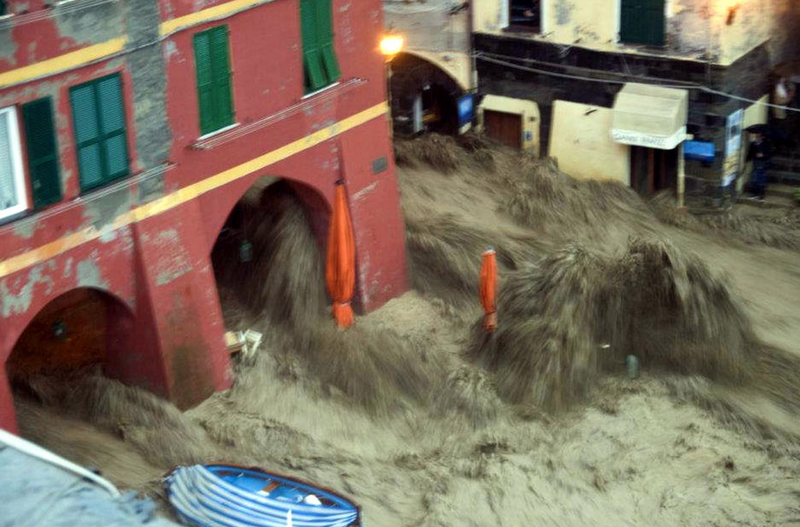 The system stayed over Vernazza for more than six hours, pouring down more than 130 mm of rain per hours : in just six hours, Vernazza and it's inland got the total amount of rain that usually get in ONE YEAR. The event started around 10 a.m. and luckily gave some beginning signals that let most of the people around rescue themselves from the hell that was about to come. 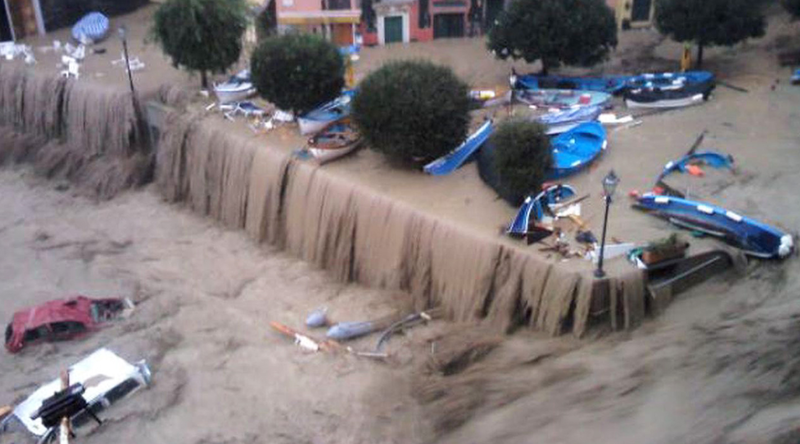 The Vernazzola River just flooded the entire town first, then an abnormous amount of landslides literally buried the town under 4 meters of mud for all the main road (Via Roma) and partly also in Piazza Marconi. 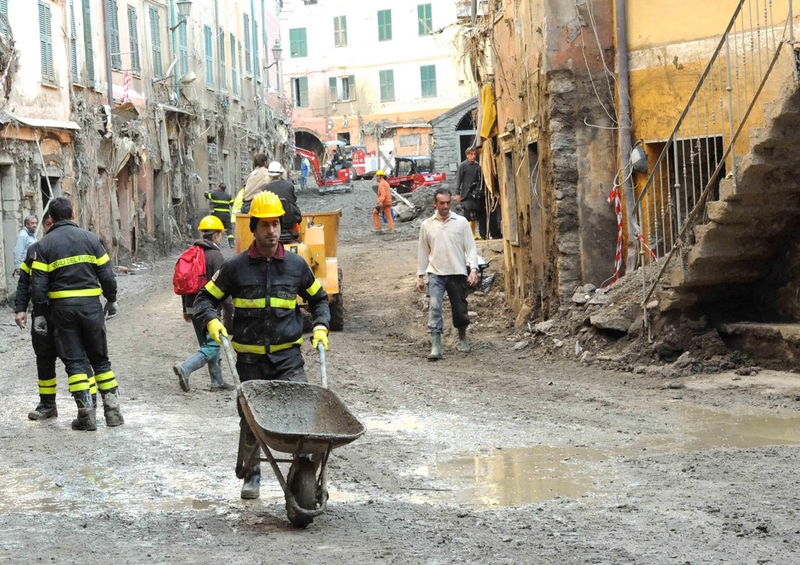 Two days passed before the first rescues we able to get into the town : for the first two days Vernazza was reachable only by the sea, since ALL the roads came down and the railway was completely buried. 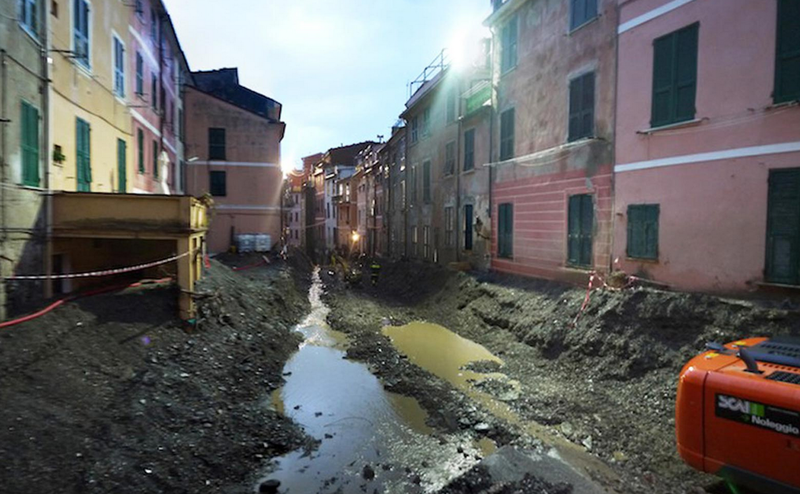 After two weeks of day and night hard work, Vernazza was finally relieved from the mud, and the tragedy of event was even more dramatic. 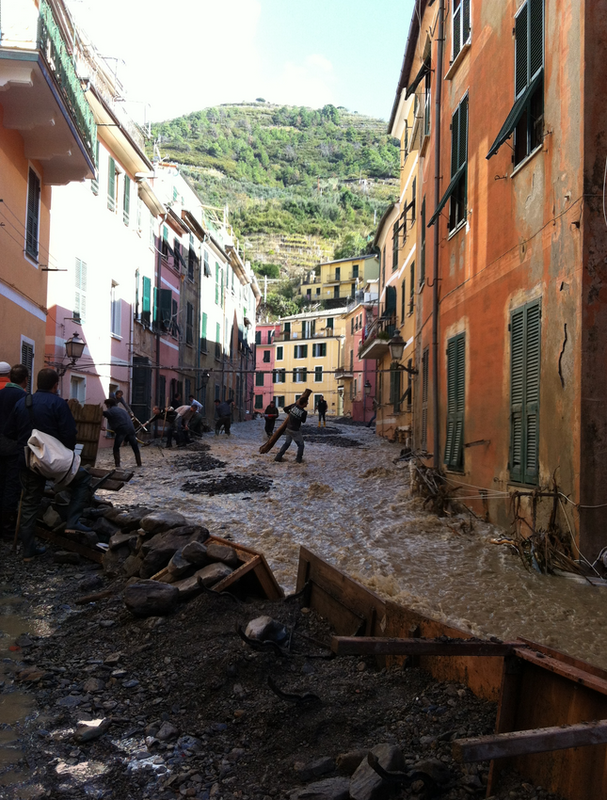 Once Vernazza was relieved by mud, the hardest part was coming : there were no power, no gas, no water. The pipeline system of the town completely gone so the town was definitely no a proper place to live in. Day by day the strength of the Vernazza people made the miracle possible : the pipeline system was rebuilded as the water supply and the power, and the town came back to a normal life during spring 2012 : the town have its people back during March since all the people were evacuated, and the first tourist came during April, when the town was almost ready for the season. Nowadays, the town got its usual shape and beauty : hundreds of works have been made and, apparently, nothing has ever happened and there are no more trace of the tragic flooding. But we all know and remember every second of that day, and we thank god we're still here and to have back our beloved town in its usual beauty!